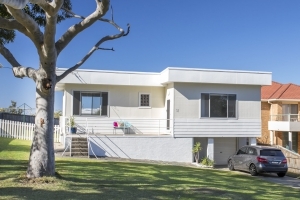 Suburb in South Coast - Mollymook NSW? 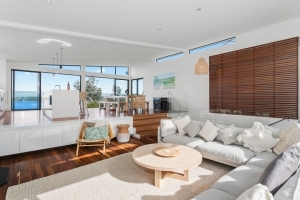 Magnificent 5-bedroom holiday home in Mollymook NSW. Although your pets can't come into the home, they can still enjoy the holiday with you. Air conditioning will keep you cool while your dog will enjoy the fully fenced yard. 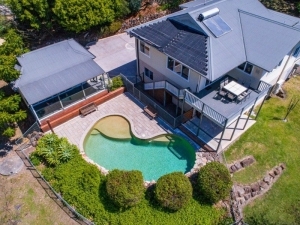 Vast 5-bedroom holiday home in Bawley Point NSW. This property only accommodates outdoor pets. Air conditioning will keep you cool while your dog will enjoy the fully fenced yard. 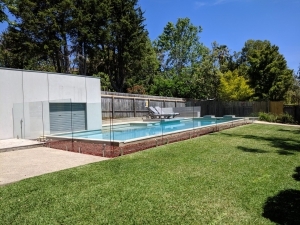 Huge 4-bedroom holiday home in Narrawallee NSW. This property can accommodate up to 10 people with 4 rooms and 7 beds at your disposal. Why not enjoy a BBQ on the deck or a walk along the beach. 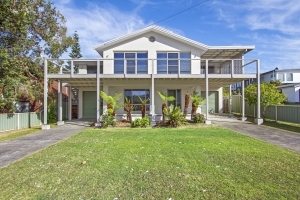 Gorgious 3-bedroom holiday home in Mollymook NSW. This property can accommodate up to 9 people with 3 rooms and 3 beds at your disposal. Air conditioning will keep you cool or enjoy the game on the TV. 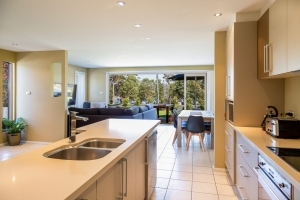 Wonderful: 4-bedroom holiday home in Conjola Park NSW. Jump in the pool, cool down and have some fun! 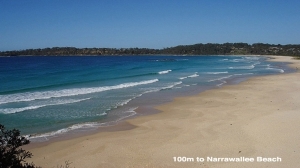 With the beach nearby, a bake on the sand or a tumble in the surf is on the cards. This property can accommodate up to 9 people with 4 rooms and 8 beds at your disposal. Enchanting Hideaway: 3-bedroom holiday home in Lake Conjola NSW. Enjoy your holiday even more - bring your pet with you! Why not enjoy a BBQ on the deck or a walk along the beach. This property can accommodate up to 8 people with 3 rooms and 5 beds at your disposal. 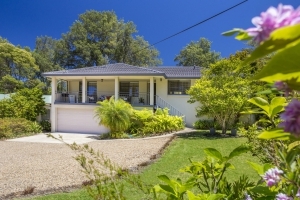 Bliss: 3-bedroom holiday home in Kioloa NSW. Enjoy your holiday even more - bring your pet with you! Why not enjoy a BBQ on the deck or a walk along the beach. This property can accommodate up to 8 people with 3 rooms and 7 beds at your disposal. 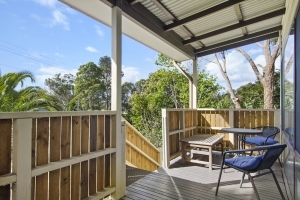 Idyllic 3-bedroom holiday home in Mollymook NSW. This property can accommodate up to 8 people with 3 rooms and 3 beds at your disposal. Why not enjoy a BBQ or a walk along the beach. 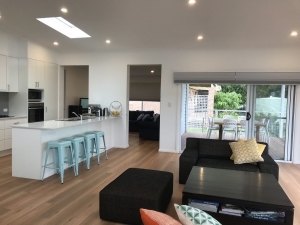 Brand new 5-bedroom holiday home in Bawley Point NSW. Ceiling fans will keep you cool while your dog will enjoy the fully fenced yard. This property can accommodate up to 8 people with 5 rooms and 6 beds at your disposal. Magnificent 4-bedroom holiday home in Lake Conjola NSW. This property can accommodate up to 8 people with 4 rooms and 4 beds at your disposal. Why not enjoy a BBQ on the deck or a walk along the beach. 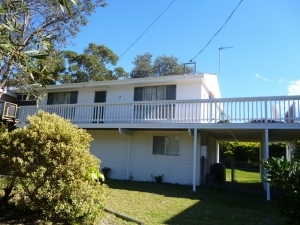 Outstanding 3-bedroom holiday townhouse in Ulladulla NSW. This property only accommodates outdoor pets. Air conditioning will keep you cool while your dog will enjoy the fully fenced yard. 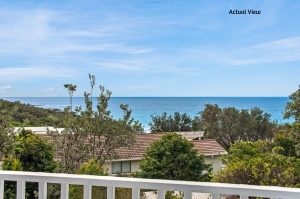 Magnificent: 3-bedroom holiday home in Mollymook Beach NSW. Keep warm in the winter months - this property has a fireplace! If it happens to get a bit cool during your holiday, not a problem, just get the fire going. This property has a fireplace or slow combustion heater. 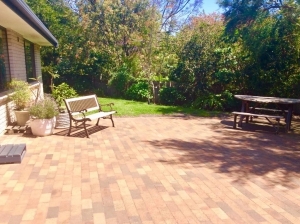 Holiday Retreat: 3-bedroom holiday home in Mollymook NSW. Enjoy your holiday even more - bring your pet with you! 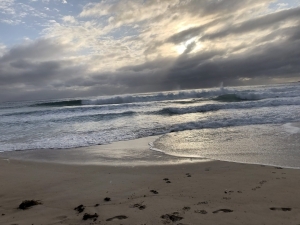 With the beach nearby, a bake on the sand or a tumble in the surf is on the cards. This property can accommodate up to 6 people with 3 rooms and 3 beds at your disposal. 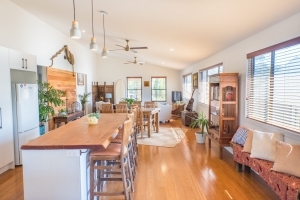 Idyllic Hideaway 3-bedroom holiday home in Mollymook NSW. Although your pets can't come into the home, they can still enjoy the holiday with you. Air conditioning will keep you cool or enjoy the game on the TV. 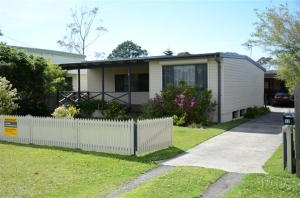 Beautifully renovated 2-bedroom holiday home in Burrill Lake NSW. This property only accommodates outdoor pets. Air conditioning will keep you cool while your dog will enjoy the fully fenced yard. 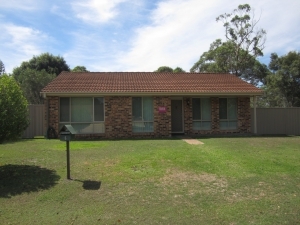 Fabulous 3-bedroom holiday home in Lake Conjola NSW. If it happens to get a bit cool during your holiday, not a problem, just get the fire going. This property has a fireplace or slow combustion heater. 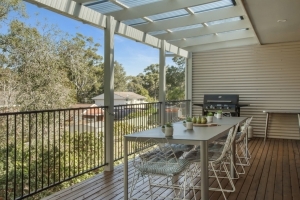 Enchanting Hideaway: 3-bedroom holiday home in Ulladulla NSW. This property only accommodates outdoor pets. 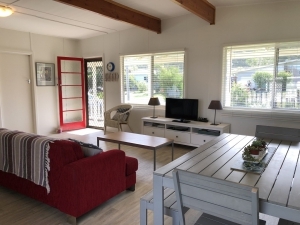 This property can accommodate up to 6 people with 3 rooms and 4 beds at your disposal. 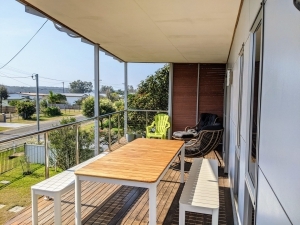 Comfortable 2-bedroom holiday home in Kioloa NSW. This property only accommodates outdoor pets. This property can accommodate up to 6 people with 2 rooms and 5 beds at your disposal.